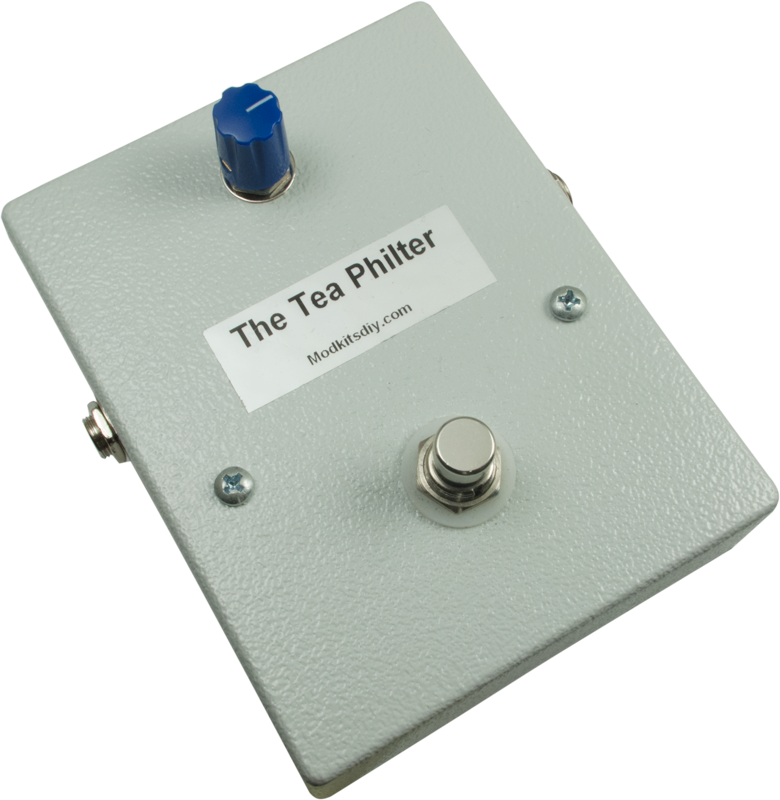 The Tea Philter - A T-Filter Pedal Kit The Tea Philter pedal produces a fixed wah tone allowing you to lock it in without rocking the pedal back and forth. Every guitar/wah combination has a certain sweet spot that is perfect for lead and chord work. The Tea Philter lets you dial in everything from your favorite vocal mid-range tone to thick lows. 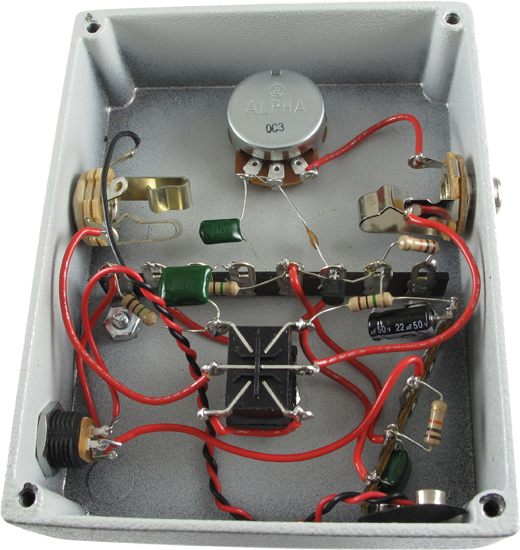 Using point-to-point wiring and easy-to-follow instructions you can have a working fixed wah pedal in a matter of hours. The effect pedal operates on a 9V battery. For a longer lasting option, a 9-volt adapter can be purchased separately. The Godlyke 9-volt adapter (M-PAS-S) may be purchased separately to power your new pedal. Packaging Dimensions 8.5 in. x 6 in. x 1.5 in. Great pedal kit for the price. Easy to follow clear instructions, great first build choice. Would give 5 stars if there was a little bit more dynamic range. Doesn't seem to have quite as much depth as an actual wah. I'm sure this could be altered with a component change. I haven't had a chance to expirement yet. Will update if I make changes! Asked by Anonymous on January 12th, 2017. At this time we do not offer custom kits and each one will comes with an enclosure. We are working on uploading the assembly diagrams. But you can find them here: https://www.modkitsdiy.com/pedal/tea_philter. Yes, a DC power jack is included in this kit.